President Trump, Steve Bannon, Mark Geragos, O'Shea Jackson (aka (Ice Cube), Amy Trask (former CEO of the Oakland Raiders), Jeff Kwatinetz and a Qatar Sheikh. You wouldn't normally expect to see those names tied together. But in a bizarre way, involving a bizarre legal skirmish involving the Big3, a new basketball league about to begin its second season, they are linked. In early April, Jackson and Kwatinetz, represented by the law firm Geragos & Geragos, filed a complaint for damages involving defamation and trade libel against Ahmed Al-Rumaidhi and, Sheikh Abdullah bin Mohammed bin Sau Al Thani, CEO of Qatar Investment Authority. Regarding Qatar, the complaint states: "Touting their love of basketball and familial connections and relationships with the royal Al-Thani Family in the State of Qatar, and thus access to vast resources and capital, Defendants were brought to the BIG3 as passive investors and introduced by the league’s former president and commissioner, himself just hired less than a year before. Counter to expectations regarding these passive investors, to agreements signed and promises made, and certainly an aberration from the decent behavior of BIG3’s initial investment group, the Al-Thani “Royal” Defendants quickly started to insinuate themselves into the affairs of BIG3 despite failing to live up to even their most basic obligation to fully fund their investment." operations to foment discord and disunity against the Big3 and its founders, and (5) defaming Plaintiffs, and aiding and abetting and causing others to make defamatory and malicious statements about and against Plaintiffs, as retaliation for Big3 filing a lawsuit against Defendants for failing to pay the money they owed." In one of the more bizarre episodes of this saga, Big3 took out an ad in the New York Times on April 20, with the headline, "Hey President Trump, When you meet today with Putin's new friend, the Emir of Qatar, please tell him not to threten the Big3 and American athletes." Below the ad read, "Sincerely, Ice Cube, Jeff Kwatinetz, Clyde "The Glide" Drexler and the Players and Coaches of the Big3." Last week, principals in Sport Trinity filed a motion for the removal to federal court in Los Angeles of the civil action brought by Kwatinetz and Jackson. In short, the suit brought by Trinity contends that Big3 co-founders Kwatinetz and Jackson deceived Sport Trinity from the outset of its investment about the league's finances, leadership and corporate governance. "As you are aware, Sport Trinity, LLC (“Sport Trinity”) is a holder of BIG3 Basketball, LLC (“BIG3” or the “Company”), a Delaware limited liability company. Since July 2017, Sport Trinity has contributed $7.5 million to the BIG3, which is more than 3.5 times the second largest capital contribution from any single member, and comprises nearly half of the total funds invested by all other investors in BIG3 combined. Nevertheless, at the misguided direction of Jeff Kwatinetz and O’Shea Jackson, Sr. (a/k/a Ice Cube) (together the “Co-Founders”), the BIG3 and its Board of Managers (“Board”), have unlawfully attempted to oust Sport Trinity from the Company. Moreover, the Co-Founders and other Board members have expelled from the Board (1) Ahmed Al-Rumaihi, Sport Trinity’s designated Board member, and (2) Ayman Sabi, Sport Trinity’s designated Board observer. In doing so, the Co-Founders and Board members have violated their fiduciary duties, including their duty of undivided loyalty." Trinity also believes Big3 misled it about Trasks's involvement in the league. "The Co-Founders further represented to Sport Trinity that Amy Trask was CEO of the BIG3. Sport Trinity understood that day-to-day management of the league would be handled by Trask. This was a material issue for Sport Trinity, which viewed Trask’s managerial ability as vital to the success of the BIG3: Trask had previously served as president of the Oakland Raiders, a franchise associated with the National Football League (“NFL”). Trask had also purportedly been considered to become the NFL’s commissioner. Sport Trinity relied on BIG3’s assurances that experienced executives would play an active role in managing the upstart league. This was particularly important to Sport Trinity because it recognized that BIG3 would need to be well-managed to grow properly...By the fall of 2017, it had become clear that Kwatinetz, not Amy Trask, was running the business as de facto CEO. Kwatinetz’s diminishment of Ms. Trask’s role lacked any Board input. This was particularly troubling because Kwatinetz was clearly unqualified and unable to run the business effectively. Further, Sport Trinity believed that certain reputational issues relating to Kwatinetz made it imperative that he not be the face of the league or the person running the league"
TV ratings seem to have been averaged around 150,000 or so during the first season, about 30%-40% less than what Major League Soccer gets on Walt Disney's ESPN and Fox and FS1. According to the release, "Throughout the course of the season, the BIG3 attracted a high level of attention from media, fans and celebrities thanks to an impressive roster of basketball superstars, headlined by player captains such as Allen Iverson, Kenyon Martin, Al Harrington, Stephen Jackson, Rashard Lewis and Chauncey Billups; along with coaches including Julius “Dr. J” Erving, Gary Payton, Charles Oakley, Clyde Drexler, George Gervin, Rick Barry and Rick Mahorn." Two weeks ago Fox broadcast the Big3's 2018 draft live. But the league does not appear to be scaling as of yet. The start of the brouhaha appears to have begun in early March. A letter dated March 6 from representatives of former NBA player and Big3 commissioner Roger Mason, a former NBA player, sent to the Big3 claims "Big3's co-founder, Jeffrey Kwatinetz, has continuously engaged in a malicious, defamatory campaign of dispariging Mr. Mason intended to prevent him from the performance of his contractual duties and responsibilities. Subsequently Mason was fired ascommissioner and replaced by Ice Cub. TMZ Sports obtained a letter the BIG3 sent to players, coaches and staff explaining the move: "We are writing to inform you of the decision by the BIG3 to terminate the employment of Roger Mason Jr. for cause under the terms of his employment agreement with the league." TMZ reported that the letter details a corruption investigation involving Mason and his ties to two Qatari investors who allegedly stiffed the league out of millions of dollars ... investors that Mason brought to the league in the first place." Mason didn't take his ousting lying down. In early April he filed a complaint against Big3 compelling the league to allow him to inspect their books and records. Former Trump adviser Steve Bannon is also mentioned in the suit: "Kwatinetz’s inability to maintain an appropriate work environment and, to put it mildly, insensitivity to matters of concern to people of color and immigrants is evidenced by his repeated discussions with Company employees of his relationship with Steve Bannon (“Bannon”) and his defense of Bannon’s character. Kwatinetz has even recently involved Bannon in Company business. This occurred even as, just two months ago, Bannon gave a speech to the extremist French political party, the National Front, in which he unapologetically encouraged the National Front to continue advocating its offensive positions: "“Let them call you racists. Let them call you xenophobes. Let them call you nativists. Wear it as a badge of honor.”"
The fun may just be beginning. If you’re a startup founder, recently became an entrepreneur or content creator that has yet found a way to monetize your business don’t despair, there are multiple ways to generate cash flow with little or even zero business development. Recently, I caught up with Mark Schaefer, a globally-recognized keynote speaker, educator, business consultant and author of multiple best-selling marketing books including the best-selling book on Twitter in the world (“The Tao of Twitter”). Curious about a blog post titled “How I make money: My 18 sources of online revenue” written by Mark which led to a candid discussion to serve as advice and inspiration to those just getting started. Surprisingly, Mark who has worked with Fortune 500 clients including Microsoft, Cisco, and IBM proclaimed to have been able to grow his business virtually with no business development and in the video below explains how you can too although Mark suggests that patience goes a long way too. Despite not doing traditional business development in the form of cold calling, Mark, in fact, monetizes his business through what he refers to as “authority,” or being viewed as an industry expert through his own blog and social media content which he says creates an emotional connection with potential clients. Aside from speaking on the topic of cash flow, Mark suggests that mentorship is critical and makes it a priority to devote 10 percent of his time mentoring others as a way to pay it forward. Watch above for the complete interview with Mark Schaefer. As a dedicated Business Insider reader, your opinion is important to us. That's why we'd like to invite you to join our BI Insiders program. So join us today by clicking on the link below and apply to become a BI Insider. You’ll be asked to complete a short survey, after which you will receive a notification within 24 hours to let you know if you’ve qualified. Apply to be a BI Insider, and we'll give you immediate access to an exclusive slide deck from BI Intelligence, Business Insider's premium research subscription service. Currently sold for $495, The Internet of Everything - Slide Deck can be yours today for FREE. In this exclusive slide deck, we will dig into the most important ways the Internet of Everything market will develop, the benefits newly connected devices will offer consumers and businesses, and the potential barriers that could inhibit growth. But don't delay — we're closing membership to the panel soon, so you'll need to apply now if you want to join and get your exclusive slide deck. Yadlin, a retired army general, said the intensity of the blasts at military bases near Hama and Aleppo — so big they caused what felt like a minor earthquake — indicated they were likely not carried out by Syrian rebels, who are under attack by the government of Syrian President Bashar Assad and its partner forces. "Either the United States augmented the attack it led about two weeks ago, and if it wasn't the United States, that leaves one possibility that I can't confirm," Yadlin told Israeli Army radio. The Syrian army confirmed the strikes, with a military source telling official news agency SANA that "some military sites in the countryside of Hama and Aleppo provinces were exposed at 10:30 pm to a new aggression with hostile rockets." Syrian media outlets said the strikes hit the Syrian army's 47th Brigade base in northwestern Hama and a facility north of the Aleppo international airport. An opposition source said the army base was a well-known recruitment center for the Iranian-backed Shiite militias that fight alongside Assad's forces. "If the casualties were Syrians, they would simply be another addition to the half-million people already killed in the civil war to this day," he said. "If they are Iranians, it will be added to the unfinished business they have with us, and then the month of May will be very volatile." 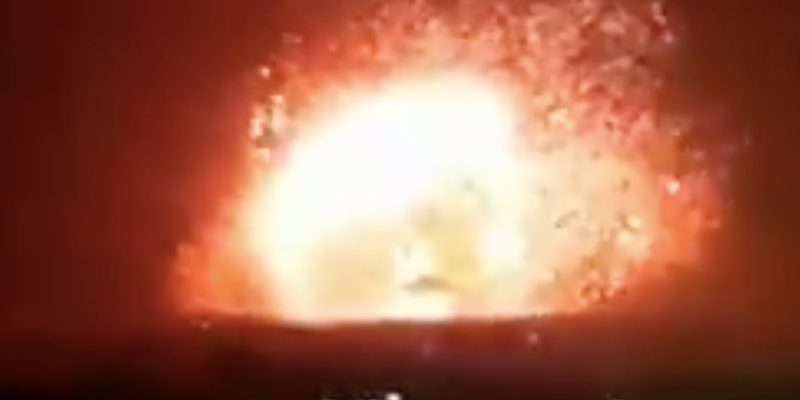 An official from the alliance that includes Iran, Syria, and Iranian-backed militia group Hezbollah said the strikes killed 16 people — including 11 Iranians — and destroyed 200 missiles. Media outlets affiliated with the Syrian opposition said 38 Syrian government soldiers were killed and 57 wounded in the strike in Hama. That strike reportedly killed seven Iranians, including an officer in the country's drone program. An Iranian drone entering Israeli airspace in February previously prompted an Israeli strike on the T4 base earlier this year, which led to Syrian air defenses shooting down an Israeli F-16. The high death toll in Sunday's strikes would mark a considerable escalation in a quiet conflict between Israel and Iran in Syria. 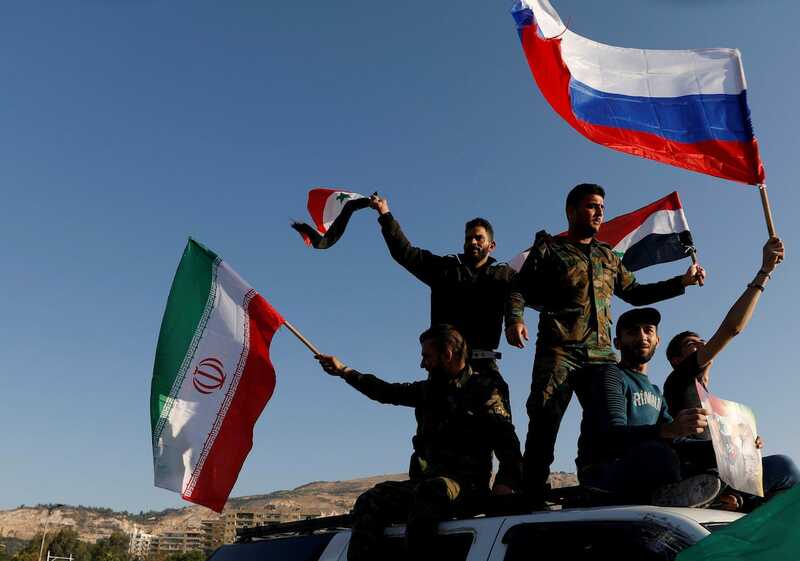 Israeli officials worry that as Assad gains an advantage in Syria's civil war, Iran is shifting focus to enhancing its military capacities in the country. Israel has bombed targets it says are part of that effort several times. 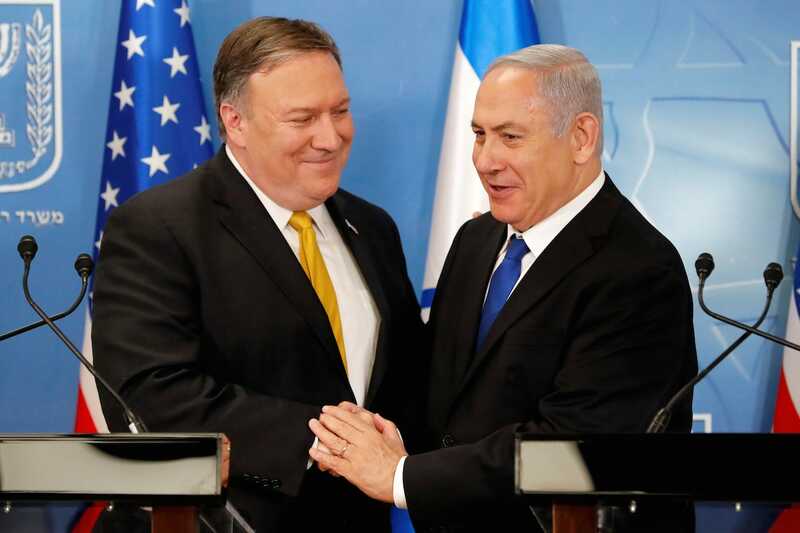 Sunday's strikes came a few hours after what appears to have been a friendly meeting between Israeli Prime Minister Benjamin Netanyahu and newly installed US Secretary of State Mike Pompeo. Netanyahu called Pompeo "a true friend of Israel" and "a true friend of the Jewish people." Pompeo said Israel had a "special place in his heart." Pompeo also offered tough talk on Iran, saying President Donald Trump would withdraw from the 2015 Iran nuclear deal "if we can't fix it" and assuring Netanyahu that the US is "deeply concerned about Iran's dangerous escalation of threats to Israel and the region, and Iran's ambition to dominate the Middle East." Iran offered tough talk of its own. "The time of attacking us and fleeing has ended," Iranian Supreme Leader Ali Khamenei reportedly said Sunday night. "Your strikes will be met with strikes." Iran also promised to respond to the previous strike on the T4 military base. "It's no secret that the Iranians have unfinished business with us," Yadlin told Army radio on Monday. "In their view, we are responsible for the previous attack, and now before they were even able to respond — there was another attack." 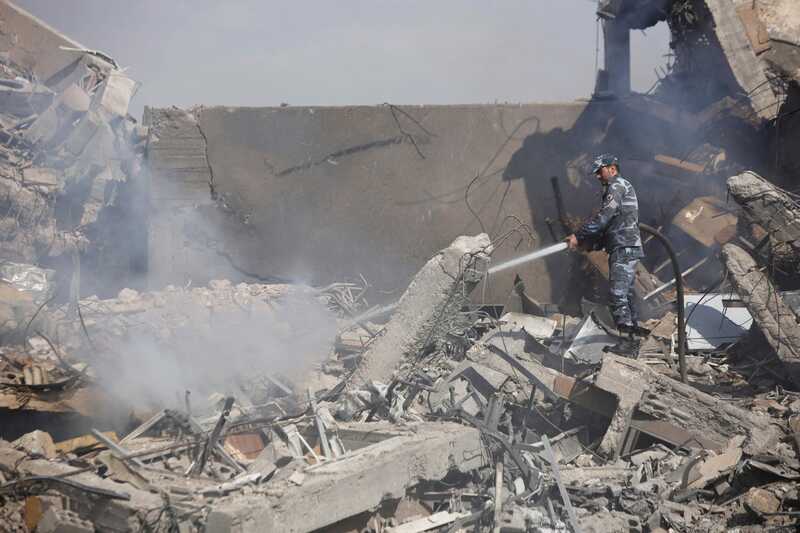 Iran's semiofficial ISNA news agency had originally said 18 of 40 people killed in Sunday's strikes were Iranians, but that report was taken down and Iranian officials denied any Iranian personnel were killed. Yadlin told reporters that denial may have been issued so Tehran would not be compelled to act. But, he added, he believes a response is coming, even if it is not clear when or where. "The Iranian retaliation is on its way," he said. Warning: Do not read if you have not seen "Avengers: Infinity War" yet. The "Avengers: Infinity War" after-credits sequence teases Captain Marvel, who Brie Larson stars as in a solo movie in March 2019, before appearing in the "Infinity War" sequel next May. The character's real name is Carol Danvers, and after being exposed to alien technology, she becomes Ms. Marvel in the comic books. Her solo movie takes place in the 1990s and also stars Samuel L. Jackson as Nick Fury. But Nick Fury has an ace up his sleeve. Right before vanishing, Fury places a distress call to an unidentified character in the film's after-credits sequence. The audience only sees a symbol on a pager that falls to the ground as Fury disappears. That symbol belongs to Captain Marvel, the next big character in the Marvel Cinematic Universe who makes her solo film debut in March 2019. Captain Marvel will be played by Oscar-winning "Room" star Brie Larson. If the after-credits scene in "Infinity War" is any indication, she'll play an integral role in defeating Thanos in the "Infinity War" sequel next May. Her solo film will take place in the 1990s, so the events of the film will obviously happen before "Infinity War." But we know that Samuel L. Jackson's Fury is a main character (his first starring role in a MCU film since "Avengers: Age of Ultron" in 2015), and other characters from the MCU's past will also make appearances, such as Agent Coulson and the "Guardians of the Galaxy" villain, Ronan. We assume that "Captain Marvel" will set up the character as a force to be reckoned with, and detail why Fury has kept her a secret up until now. Judging by his scene in "Infinity War," he regards her as an absolute last resort. But who is she exactly? The character, whose real name is Carol Danvers, was introduced in Marvel Comics in "Marvel Super-Heroes" issue 13 in 1968. 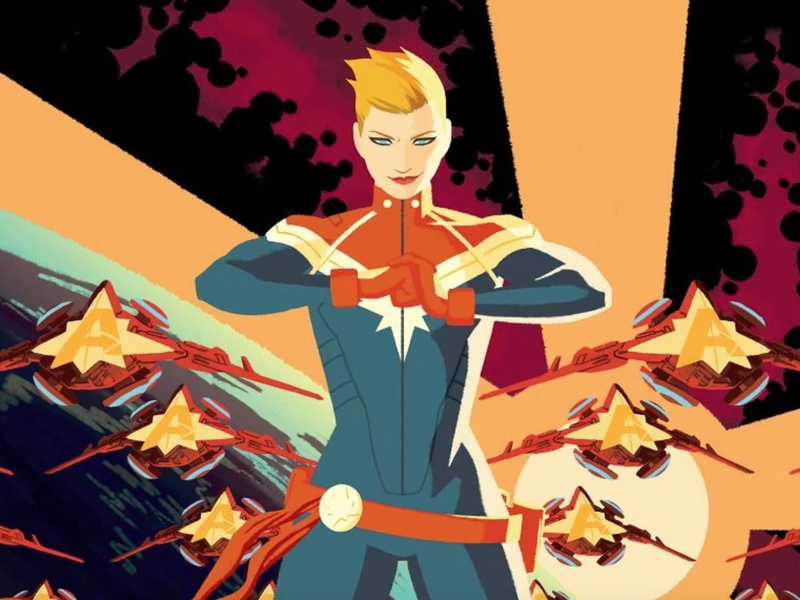 She is one of many characters to take the title of Captain Marvel. After being exposed to alien Kree technology, she becomes Ms. Marvel. 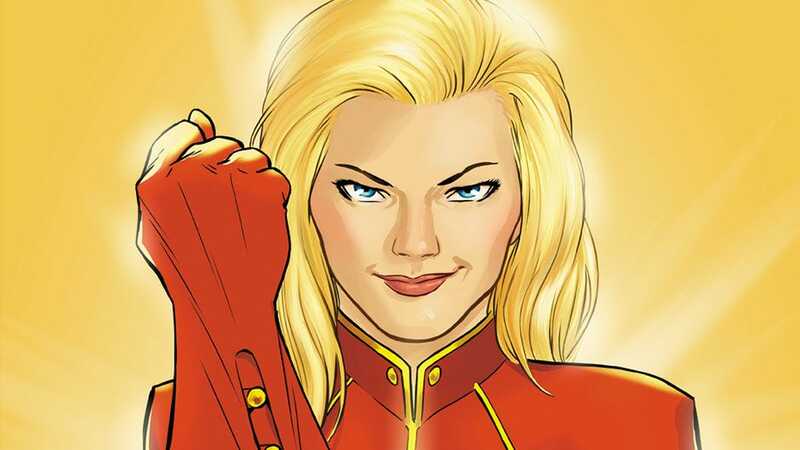 It isn't until 2012 that she takes the title of Captain Marvel in the comic books. The Kree are the alien race that Ronan belongs to. Jude Law's character in the "Captain Marvel" movie, Mar-Vell, is also Kree. In the comics, Mar-Vell is the first Captain Marvel, and is a Kree military officer. Mar-Vell will most likely act as a sort of mentor to Danvers in the movie. Danvers has superhuman strength, speed, flight, and can absorb energy to project it back at her enemies, which will probably help in her fight against Thanos. When Danvers got her own solo comic book as Ms. Marvel in the 1970s, it was regarded as a progressive move. Similarly, Captain Marvel will be the first female character in the Marvel Cinematic Universe to get her own movie — something that "Wonder Woman" last year paved the way for as a critically and commercially successful female-driven superhero film. Danvers has been a big part of Marvel Comics in recent years. Most recently, she played a key role in Marvel's "Civil War II." The storyline centers on a new, young superhuman with the ability to see the future. This pits Captain Marvel and Iron Man against each other over whether it is morally right to target supervillains before they have committed a crime, and change the future in the process. Next month, she will star in a new "Avengers" comic book that reunites Captain America, Thor, and Iron Man, and also includes MCU favorites such as Black Panther and Doctor Strange. Needless to say, Captain Marvel is having a moment, and it will reach new heights in next year's "Infinity War" sequel. "Captain Marvel" comes to theaters March 8, 2019. The untitled fourth "Avengers" movie comes to theaters May 3, 2019. New measures in cybersecurity data protection must be innovative and adaptive, which is why we spoke with Guy Filippelli, the Vice President of User and Data Security at Forcepoint. Filippelli discussed with us the work that Forcepoint is doing in data protection – namely a measure of protection that adapts to the behavior of internal employees. Forcepoint’s ‘Risk-Adaptive Protection’ strategy uses behavior-analytics to identify an organization’s strongest and weakest points in their cybersecurity based on their employees’ online routine in the workplace. Christopher P. Skroupa: Security spending is expected to reach $120 billion dollars by 2021, yet there continues to be more and more data loss events making headlines. Why are traditional cybersecurity approaches failing? Filippelli: Addressing today’s threat landscape can’t be successful with a static solution. Risk-Adaptive Protection enables security to fluctuate based on the threat environment. It’s very agnostic compared to how we put security in at the airport or at a sports stadium; where, depending on the threats that we may face, we may see a larger security presence or a smaller security presence. In the cyber-world, a compliance driven operation has been dictating security measures for too long – we need to stop this. What we [ForcePoint] have found is that we – as collective organizations – need to move to adopt an adaptive policy based on risk. Steve Jobs once said, "I wish Bill Gates the best, I really do. I just think he and Microsoft are a bit narrow. He'd be a broader guy if he had dropped acid once or gone off to an ashram when he was younger." Steve was being more than a little mean here, but he is exactly right. In the same vein, Jobs later went on to say, "It is in Apple's DNA that technology alone is not enough. It's technology married with liberal arts, married with the humanities, that yields the results that make our hearts sing." If you want to be an entrepreneur steer away from specialization. It is the enemy of the new and disruptive and the true. This has never been more so than now. 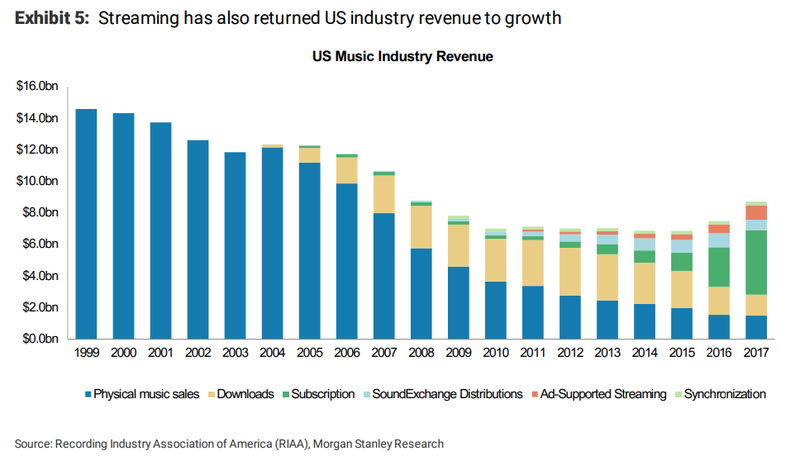 All aspects of enterprise are changing like lightning. And this will do nothing but speed up. Today's jobs, problems, and needs are almost certain to change radically and rapidly. A hot job in today's marketplace, say in mobile marketing or hospital finance or pharma management, may, and probably will, become dead meat with the next technological permutations, regulatory changes, or innovative disruption. The best training for all of us is in how to think globally and objectively about the future, about what's around the bend. And that means being a broadly trained thinker and citizen of the world, as well as a specialist in a specific vertical of product or service. A generalist sees the forest as well as the trees and knows how to adapt nimbly and flexibly with a view to the big picture and main chance. That's pretty crucial for an entrepreneur. Harking back to the previously cited WSJ article, Anthony Carnevale of Georgetown University's Center on Education and the Workforce calculates that the current unemployment rate among recent IT graduates at the moment is actually twice as high as that of theater majors. Not what you expect, huh? Recently deceased writer David Foster Wallace alludes to this when he tells the following story at a speech he gave to the Kenyon College graduating class in 2005. "There are these two young fish swimming along and they happen to meet an older fish swimming the other way, who nods at them and says, "Morning, boys. How's the water?" The two young fish swim on for a bit, and then eventually one of them looks over at the other and goes, 'What the hell is water?'..." This story is about the real value of real education, which has nothing to do with grades or degrees and everything to do with simple awareness--awareness of what is so real and essential, so hidden in plain sight all around us, that we have to keep reminding ourselves over and over: "This is water. 'This is water." Thank you, David Foster Wallace. Amazon CEO Jeff Bezos says he believes the term "work-life balance" is a "debilitating phrase." Bezos revealed that one of the top pieces of advice he offers new Amazon employees is that they shouldn't view the two as a strict tradeoff. Instead, Bezos thinks of his personal and professional pursuits as a "circle" rather than a balancing act. Amazon CEO Jeff Bezos isn't a fan of the phrase "work-life balance." 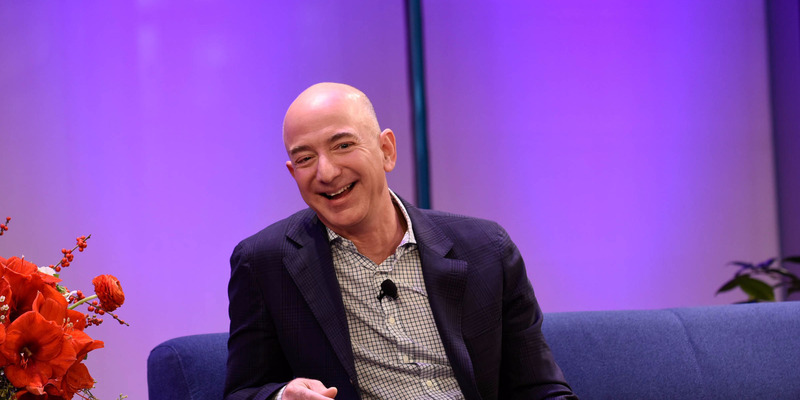 At a recent awards event hosted by Axel Springer and Business Insider US Editor in Chief Alyson Shontell, Bezos revealed the counterintuitive advice he offers new Amazon employees. Bezos believes that his new hires should stop attempting to achieve "balance" within their professional and personal lives, since that implies a strict tradeoff between the two. Instead, Bezos envisions a more holistic relationship between work and life outside the office. Historically, the world's richest man has a non-traditional approach to work: He makes time for breakfast every morning with his family, doesn't set his alarm before going to bed, schedules surprisingly few meetings, and still sets aside a few minutes everyday to wash his own dishes. "This work-life harmony thing is what I try to teach young employees and actually senior executives at Amazon, too. But especially the people coming in," he said. "I get asked about work-life balance all the time. And my view is, that's a debilitating phrase because it implies there's a strict trade-off." Instead of viewing work and life as a balancing act, Bezos said that it's more productive to view them as two integrated parts. "It actually is a circle. It's not a balance," said Bezos. Bezos said that the relationship between his work life and personal life is reciprocal, and that he doesn't compartmentalize them into two competing time constraints. "If I am happy at home, I come into the office with tremendous energy," said Bezos. "And if I am happy at work, I come home with tremendous energy. You never want to be that guy — and we all have a coworker who's that person — who as soon as they come into a meeting they drain all the energy out of the room[...] You want to come into the office and give everyone a kick in their step." Happy Numbers is an artificial intelligence-enabled math education platform. CEO Evgeny Milyutin said the biggest lesson he's learned in his time in startups is the importance of knowing your customer. This is pretty common business advice — but he's probably not the only founder who initially went about following it all wrong. It took him a while to realize that meant visiting the classrooms where students and teachers would be using his product, talking to them, and watching them use it. When the iPad debuted in 2010, Evgeny Milyutin was a 26-year-old physics PhD student in France. On the side, he and his longtime friend Ivan Kolomoets had been tutoring their friends' kids in math. It occurred to them then that there was a prime opportunity to improve the quality of math education with emerging digital technologies. At the time, this was a truly novel idea: It was still seven years before Netflix CEO Reed Hastings would invest in a math education startup called DreamBox Learning. 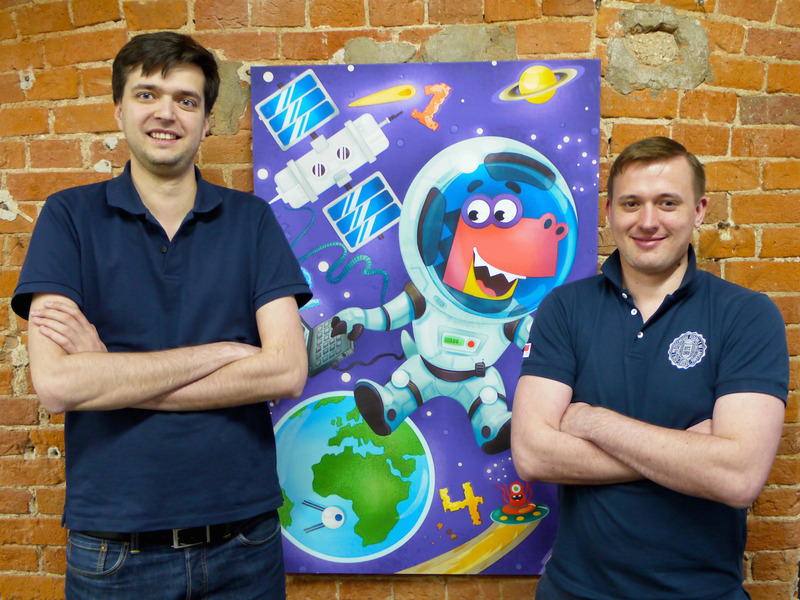 Today, Milyutin and Kolomoets are the founders of Happy Numbers, an artificial intelligence-enabled math education platform. The goal is to help teachers personalize education: Milyutin described the program as a "virtual teaching assistant." Students are set up with iPads or laptops and plug away at interactive math exercises; then the program delivers feedback to the teacher based on the students' performance. Milyutin — who confesses that he struggled with math in primary school — cited a 1984 review by the late Benjamin Bloom, which reports that students who received one-on-one tutoring performed better than 98% of students taught in a conventional classroom. "It would be great to have one teacher for every student, but it's not always realistic," Milyutin said. "So this is where I feel technology can come into the game." 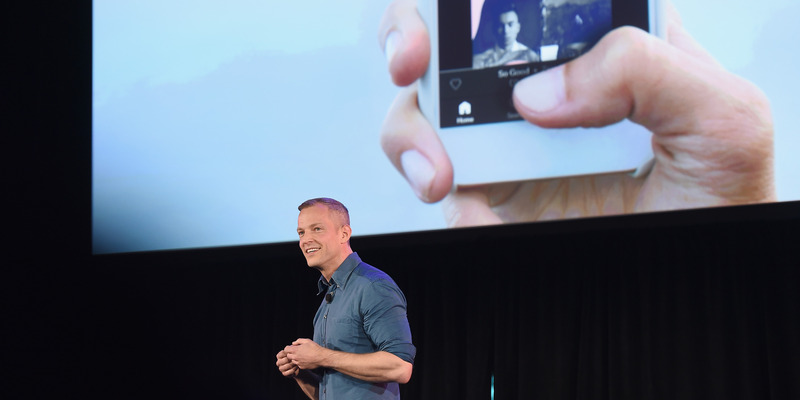 Individual schools or school districts can purchase subscriptions to Happy Numbers (though Milyutin said he's also sold a few subscriptions directly to consumers). In the last year, Milyutin said, there have been 17 million exercises solved on Happy Numbers. The years between 2010, when the idea for Happy Numbers first struck the founders, and 2014, when the company officially launched, were hardly glamorous. Milyutin said they created one prototype after another, but "didn't get much luck." But looking back, Milyutin can pinpoint one reason why he and Kolomoets struggled, at least in the very beginning: They were building prototypes before they fully knew the students and teachers who made up their core user base. "Everyone talks about 'you need to understand your customer' or 'you need to understand your user,'" Milyutin said. But it took him a while to realize that meant visiting the classrooms where students and teachers would be using his product, talking to them, and watching them use it. "Going to the actual classroom gave me so much inspiration and ideas of where the product should go." Specifically, they heard from teachers that their goal was to individualize instruction. Milyutin has some insight into why he and Kolomoets skipped this step at first. "You kind of feel you're bothering people," he said, referring to his requests to sit in the back of classrooms and ask the teachers questions afterward. Eventually, he learned this wasn't as much of an inconvenience as he'd thought — and that it would be impossible to start his company without making these requests. What's more, Milyutin said, he'd sometimes get overeager, assuming that after he'd spoken to a teacher over the phone for two hours, he knew everything about their experience. "Talking to more people" — as many as you can — "is always better," he said. Those people included experienced education researchers. Milyutin said he would read blogs and books on education — and if he liked what he'd read, he'd get in touch with the author to learn more. Milyutin's single best piece of advice for other small-business owners is to invest time (probably more time than you think you need to) in your customer. In an email to Business Insider, he added: "Understand exactly what their day looks like and what keeps them up at night. A true understanding of all their pain points, even if they are not directly related to the problem your product is solving, will help you develop a solution that customers will trust."